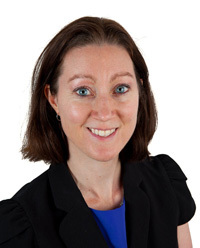 Christine Stankowski has over 10 years’ experience leading and managing volunteer programs in the not-for-profit and local government sectors in Australia. With vast experience in designing, implementing and improving volunteer programs, Stankowski has a track record of developing and implementing strategies that draw together, build on, and enhance the engagement of volunteers. Stankowski has qualifications in Change Management, Communications, Training and Lean Six Sigma and is heavily invested in growing volunteer management capability. In November 2016, she launched Flutterbye, a blog designed to support people who work with volunteers. Stankowski is actively involved in a range of professional bodies specific to the volunteering sector and is passionate about supporting its development.